You'll be £12.99 closer to your next £10.00 credit when you purchase More Foul Deeds & Suspicious Deaths in Barnsley. What's this? 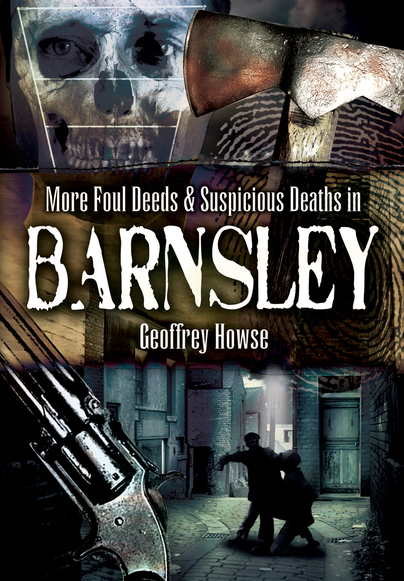 In his second book in the Foul Deeds series relating to Barnsley and its neighbourhood Geoffrey Howse continues to uncover aspects of the area's darker and more sinister past. Many districts not covered in the first volume are included here. Read about the shooting of Lord Wharncliffe's head gamekeeper at Pilley, in 1867, the capture of the killers and the sensational trial; also about the murder of William Swann in Wombwell by his wife, Emily and John Gallagher, both hanged in 1903. Other features included the case of a Polish resident, Wilhelm Lubina, executed at Leeds in 1953 for murdering Charlotte Bell in Barnsley. A rich and compelling miscellany of local misdemeanour from Victorian and Edwardian times are recounted too: robbery at Thurlstone, violent assault at Worsbrough and Hoyland Swaine, highway robbery at Gawber, theft at Hoyland and Elsecar, attempted wife murder at Thurgoland, poaching at Cudworth. There is also the unusual case of manslaughter against Maria Cooper, killed with others in a fireworks explosion in Barnsley. An absorbing read and source of reference for anyone interested in local social and criminal history. Geoffrey Howse is well known for his books on South Yorkshire history. A specialist true crime author, Geoffrey has also published several books relating to London, including an A-Z of London Murder. Born in Sheffield and brought up in Elsecar and Hoyland, Geoffrey, an actor/writer by profession, has lived in London for over 35 years.